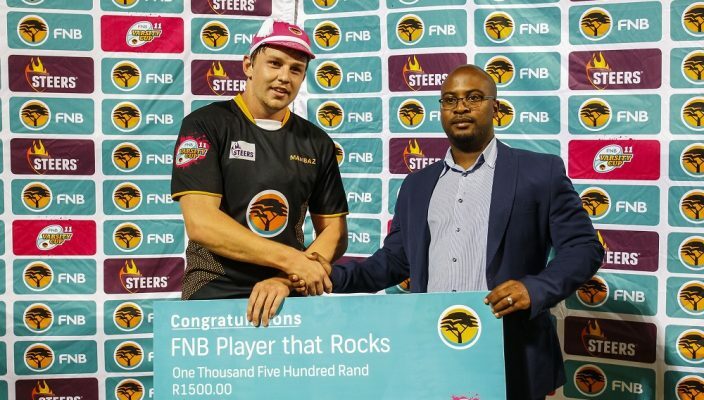 The 23-year-old economics masters student, who lives in Mangold Park in Port Elizabeth, was voted the Player that Rocks against Wits and NWU-Pukke, a notable achievement given that he was on the losing side in both games. It is an indication of how Brown, who was christened Henry but is widely known as Brandon, is enjoying his rugby at this stage and he says his confidence has grown since he turned out for the EP Kings U21 side in 2012. 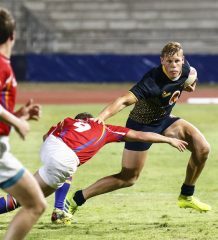 “I think my play has definitely improved over the last few years, learning how to operate in the breakdown area and to create interplay with the backs,” the former Grey High pupil said. Acknowledging that it was a special experience to be voted twice as the Player that Rocks, he quickly added that it was the team result that was of greater importance. “It’s nice to be recognised like that, but it’s a pity that it came when we were on the wrong side of the scoreboard,” said Brown. 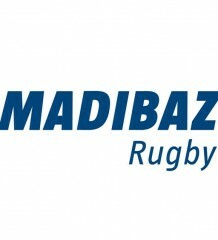 Madibaz have yet to record a win in this year’s competition. They have suffered some close losses, but were well beaten in Johannesburg on Monday against the high-riding University of Johannesburg outfit. “Some of the matches early on could have gone either way, but we had a hard chat after the UJ game,” he said. “We admitted where we went wrong and committed ourselves to fixing this in training. I must admit, this morning’s [Wednesday] session we were able to do exactly what we said we were going to do. 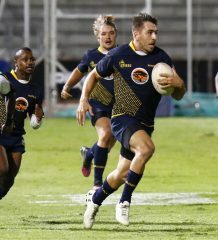 Madibaz will be at home for their next game on Monday when they take on log-leaders Stellenbosch at Madibaz Stadium at 6.30pm. While a tough rearguard action faces the team, Brown, who has also turned out for the EP Kings senior team, is happy to be involved and injury-free after suffering a frustrating period earlier in his career. “I had two serious injuries to my left knee in 2013 and 2014, so I spent a lot of time in rehabilitation,” he said. “I was in the EP Academy at the time and fortunately Academy head Robbi Kempson placed his trust in me, kept my contract and I did all my rehab through them. Having had a taste of rugby at senior provincial level, Brown said he would like to return to that level once he finishes at varsity.